The Pioneer Woman 12 Cup Muffin Pan (Nonstick) by The Pioneer Woman at Baking Love. MPN: unknown. Hurry! Limited time offer. Offer valid only while supplies last. The premium non-stick finish allows for easy food release. Bake up to 12 muffins or cupcakes in this pan, which features reinforced rolled edges. The premium non-stick finish allows for easy food release. 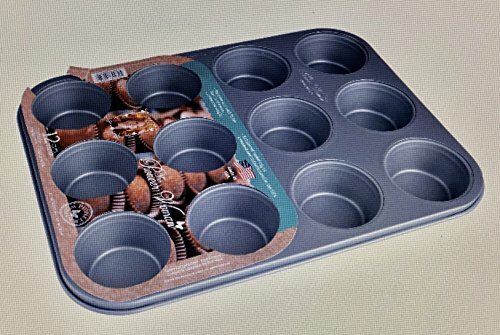 Bake up to 12 muffins or cupcakes in this pan, which features reinforced rolled edges. Hand washing is recommended. The Pioneer Woman 12 cup muffin pan comes with a lifetime warranty.